This time last week I was embarking on South to Samarkand. I was worried it might be dull - but Miss Mannin wasn't a successful novelist (+ lover of famous men + celebrated gal about town etc) for nothing. The book rattles along: highly subjective, impressionistic, biased, slightly smug (in parts) but NEVER dull. Last year at this time I never so little wanted to leave a city as Moscow; now I was so burnt up with the desire to get away that I hated it. 'You forget we're going out to lunch in the country tomorrow,' Donia reminded me tranquilly. The esteemed authoress and her companion eventually leave Moscow without the necessary permits for Turkestan, deciding they will get there by hook or by crook - and a little subterfuge if necessary. 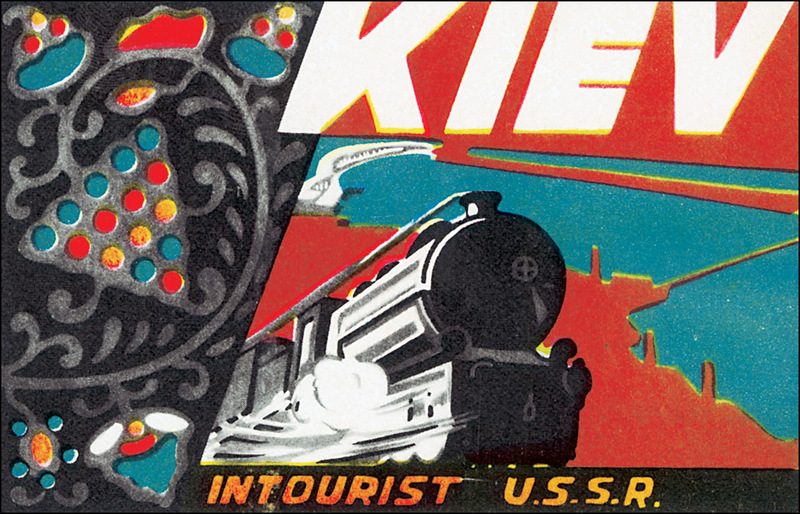 Under the aegis of Intourist (the state-controlled tourist organisation) and VOKS (the Society for Cultural Relations with Foreign Countries) they take trains to Kiev, to Rostov-on-the-Don, to Sotchi - 'the Black Sea Riviera' [?!] where Manning is extremely disparaging of the bodies encountered at the nearest (nudist) beach. In our innocence we believed that we were looking at the most unspeakable sanitary arrangements human beings could devise. We were mistaken. This was merely a beginning. Somewhere before Georgia, the travellers manage to give their escorts the slip (not as dramatic as it sounds, really) but from there on out they have to travel 'hard' as they have no guides / agents to secure them tickets for 'soft' travel (reserved for foreign tourists who brought in money or for high-up officials and Red Army soldiers.) They also have no papers, so can't stay in any of the official hotels. Some people, of course, see nothing funny in the utterly absurd. 'Where is Tiflis?' I demanded. 'I don't know. Persia. Down that way, anyhow. Does it matter? Nothing can stop us now. Yet I shiver with apprehension. We shall not be truly in Smarkand till we stand upon the Registan.